Inflatablepaddler.com: Best inflatable boats, kayaks and SUP’s. Fintalk: Saltwater fishing fishing reports, charter boat listings, and guide services for saltwater sportsmen around the world. 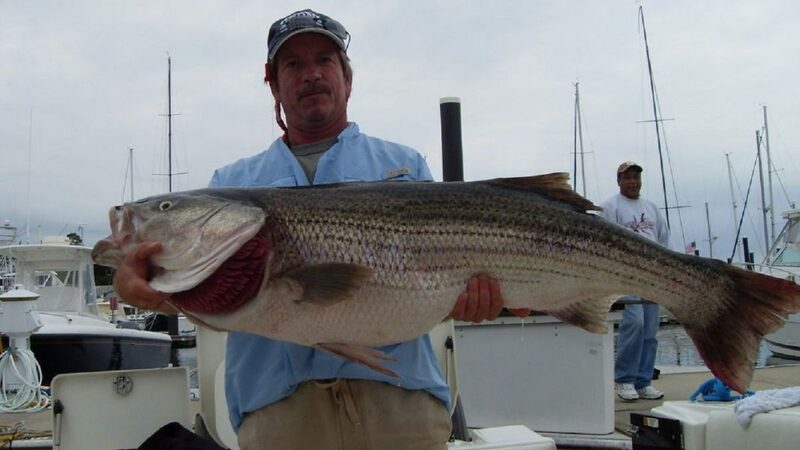 Connecticut Fishing Charters: Fishing Long Island Sound with any of the captains in our list, they are all experienced fisherman capable of showing you a good time on the water. A great activity when vacationing. MySound.com: Charter Services, Fishing reports, and the latest marine conditions. Come join our community! RFA: RFA represents recreational fishermen and the fishing industry to address the regional issues while building local support. Join our fight today! Northeast Angling: We have started releasing ALL the full length Northeast Angling saltwater fishing shows on our YouTube channel! We will be releasing another show every week. Bass Barn: The Bass Barn community is made possible by many factors, including it’s loyal members and the businesses listed below. Visit CT: Great Ways to Experience Connecticut! CT Fish Talk: Bulletin board for fishing reports, records and general fishing talk. Saltwater fishing directory: Directory for fishing and fishing businesses. Guanacaste Sport Fishing: Offering Costa Rica fishing trips out of the awesome Guanacaste fishing region (Tamarindo and Papagayo) for marlin, sailfish, roosterfish, and many other big game species. Cape Hatteras Sport Fishing Charters: Come aboard the Matador charter boat and enjoy a great day of exciting Virginia Beach fishing that may include inshore striper fishing to offshore deep drop wreck fishing with top skipper Captain Jake Hiles. Virginia Beach Charter Fishing: Come and enjoy a fun day of Virginia Beach fishing for marlin, wahoo, sailfish, dolphin, and inshore species like trophy striper with Captain Dan McClarren of the charter boat Long Time Coming. Fishing Tips at FinTalk.com: Offering fishing tips and other saltwater fishing information for anglers every where. Fishing charter and guide listings to our frequently updated and detailed fishing reports provided by top Captains and sportsmen. Playa Conchal Fishing: Guanacaste Fishing charter in the legendary golfo de Papagayo in Costa Rica. Rooster fishing charters, inshore fishing and deep sea fishing charters with local captains. Maverick Offshore Fishing Tackle: Bluefin Tuna Tackle is just that. Tackle and accessories geared towards the pursuit of all saltwater big game species. Sportsmen’s Compass: Best reviews on fishing trips. Share your experience on a fishing guide, charter, or lodge – build OUR community. Charter boat guide : A comprehensive directory of Charter Boat Services. Grandt Industries, Inc. : High quality line of products featuring the finest custom fishing rods in the world. Fishingbooker: Find and book the best fishing charters worldwide. The Back Porch restaurant and bar: Outdoor waterfront dining and New England American Cuisine.